Every year when the sports season approaches, sport fans will get so excited and couldn’t wait to watch the live matches. Some fans will take the trouble to secure good seats in the stadium so that they could watch their favourite players or team play live. Others will apply their leave way ahead to get off to watch the live games. For those who are from the other side of the globe, they will stay awake the whole night just to watch the live games on their television! Thanks to the many sports live streams using different apps and services, sports fans can now easily catch their favourite game on television screen, smartphone, computer, tablet, etc. We have to thank the advancement of modern technology and the great designers of all these wonderful sports apps. Due to the accessibility of internet, we can now access to the games because of the availability of the apps and the service providers. Sports fans can now enjoy games which were not made available to them before. With modern tech live streams, sports fans are able to watch live sports events on their mobile devices anywhere as long as there is broadband internet connection. As live sports streaming is still new, sports fans may only be able to access certain content on specific devices, such as certain content are limited to iPhone users and not to Android users, and vice versa. Another thing is that not every sports organization supports live streaming yet. Sports organizations may be worried about the illegal streaming of sports event without permission. 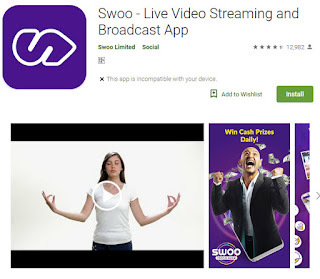 Some sports organizations have ventured out to form partnership with specific cable and mobile service providers to provide live streaming content to their subscribers at a fixed fee. In this way, sports fans are allowed access to live streaming channels to watch their favourite live games. Viewers must take note that not all the streaming videos found online are live. While sports fans might be able to watch minor events live on the Internet, some of the high-profile events were inaccessible until much later. Searching for the best sports app may be overwhelming but with time and patience, you will be able to find an app to bring you your favourite games. Besides your favourite games, you can also get to interact with other sports fans on real time chat. Opinions can be shared with other viewers and viewers can respond with “clap”, “like”, or other features.